Brian Carderelli videos on this page are the exclusive property of the Carderelli Family, 2012 and protected by Copyscape. The videos use music with gracious permission of Josh Wilson, Steve Curtis Chapman, Casting Crowns, and Michael W. Smith. 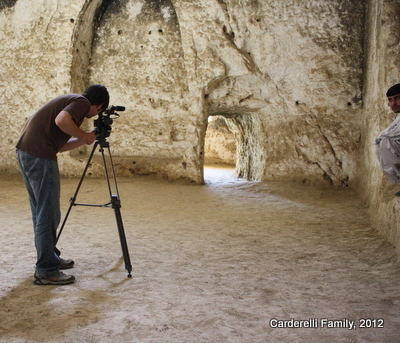 Brian Carderelli videos have been formatted for the web, and have less clarity than Brian's skill demonstrates on his original HD formatting. An unparalleled video insight into Buzkashi, the famous game played annually in Afghanistan. Sir Alexander Burnes recorded early in the 19th C, "Another and more amusing kind of race is the following: One man places a goat on the horse before him, and sets off at full gallop. Fifteen or twenty others immediately start off after him, and whichever of these can seize the goat and get it [safely to the marked circle, wins.] (Quoted from: Afghanistan: A Companion and Guide). Learn more about this Afghan national sport. Sacrificing the cow, sheep, or goat for a major holiday is an important occurrence all over Afghanistan. Brian captures the fate of the cow with gruesome detail. Creative genius records the artistry of the metal workers in the metal bazaar of Kabul, Afghanistan. Brian's extraordinary eye for beauty is best seen in this video. He recordes the breath-taking loveliness of the ordinary and common life of every-day Afghans, and through his lens, his life song sings as his heart beats with God's love for the Afghan people and the rugged Afghan countryside. Songs: Michael W. Smith "I'll Lead You Home"
Join Brian as he slides down the side of the mountain in Paghman. Fun! Brian's service for God through his passion in digital video will always be remembered. We miss his laughter, his kindness, and seeing how he tried to glorify God with his life. He died doing what he loved. Songs: Josh Wilson "Before the Morning"
Leave a comment about the videos or share a memory.